Office Pride congratulates David Burks on being the new Area Developer for Louisville offering commercial cleaning and janitorial services for all types and sizes of businesses throughout the entire Louisville KY region. Office Pride Commercial Cleaning Services, one of the most advanced cleaning franchise systems in the U.S. is pleased to announce the addition of David Burks as the Area Developer based in Louisville, KY and supporting Louisville and surrounding counties in Kentucky and southern Indiana. Office Pride Commercial Cleaning Services will announce the opening of their new regional office at 10821 Plantside Drive, Suite 102 with a ribbon-cutting ceremony performed by the Jeffersontown Chamber of Commerce on Wednesday May 20, 2015 at 11:30 am. 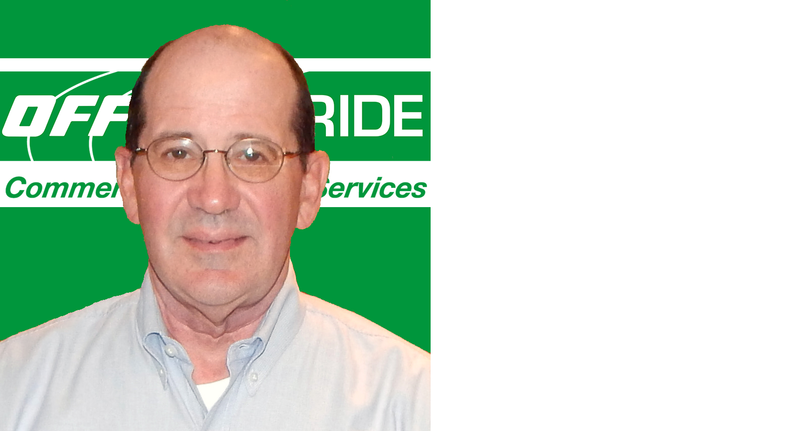 David Burks will support the existing Office Pride franchisees in the Louisville / southern Indiana area and work to bring additional new franchisees into the Office Pride family. Office Pride provides complete commercial cleaning services delivered in a professional and consistent manner, to businesses in the community. “Franchisees offer routine janitorial services and they are total floor care experts” says David. “Professional associates are background checked, uniformed, insured, bonded and OSHA trained. For your safety and protection, we use Office Pride’s unique Color-Coded Cleaning System to eliminate cross-contamination between restrooms and offices, breakrooms, etc., state-of-the-art commercial cleaning equipment and technologies and we use Green Seal™ certified cleaning products”. Office Pride’s brand promise is “No Headaches Attached®”. Their quality inspections and online customer communication programs assure it while their average customer retention rates of over 90%, among the highest in the commercial cleaning industry, proves it. (According to the Building Services Contractors Association International, of which Office Pride is a member, the industry averages around 63%). David Burks spent over 2 decades in the window and door industry starting in retail sales and ending up as Founder and President of his own company. A graduate of the University of Louisville in Business Management, David’s career has spanned sales, operations, business development and of course entrepreneurship. David would be happy to provide any business with a no obligation proposal on what it would take for Office Pride to keep their facility looking beautiful week after week”. Office Pride is a faith-based, nationwide, commercial cleaning franchise, headquartered in Palm Harbor, Florida. Franchisees provide top quality routine janitorial services through a Core Beliefs and Values of demonstrating Honesty, Integrity and Hard Work. And because Biblical principles are the backbone of Office Pride, everyone from their customers and vendors to their employees are treated with the same honesty and respect. Another of Office Pride’s CORE Beliefs and Values is Total Customer Satisfaction. They do not lock customers into long-term binding contracts. They prefer to clean on a month-2-month basis so as to “re-earn” their customer’s business each time they clean for them. Office Pride cleans thousands of general offices, businesses, schools, day cares, nurseries, financial institutions, professional medical offices, showrooms, churches, public buildings, managed properties, retail venues and industrial facilities nationwide.